Kim Coates is a famous actor, born on February 21, 1958 in Saskatoon, Saskatchewan to Joyce and Fred Coates. Growing up Coates never expressed an interest to pursue mainstream acting. He went to the University of Saskatchewan and it was not until he enrolled himself in a drama elective there, that he realized he wanted to become an actor. Prior to that, he had never even seen a play before in his life. Coates was shortly offered the role of Stanley Kowalski in “A Streetcar Named Desire” and became the youngest actor to play the role of Macbeth in the Stratford Festival in his hometown. Since then, he has been a part of more than 50 plays. He kick started his career in the movie industry in 1986, when he was offered to act in the movie, “The Boy in Blue”. Despite the fact that he had a minor part in the film, it paved Coates’ way into the entertainment business, enabling him to be a part in over a hundred movies till today. However his big break came in 1991 when he was offered the movie, “The Last Boy Scout”. Following that, he also appeared in movies like, “Innocent Blood” and “The Client” by Warner Bros; both of the movies proved to be successful. Some of Kim Coates’s other works include, “Black Hawk Down” which was directed by Ridley Scott and “Pearl Harbor” whose director was Michael Bay. Both the movies were successful and received Academy Awards. Coates also appeared in the television show, “Entourage”, in the role of Carl Ertz, a shady film producer. His return to the show was the result of direct requests by the audiences who loved his performance in the previous seasons. He also appeared in the television show, “CSI Miami”. Following this, he was also offered to guest star in various major television shows some of which include, “CSI”, “CSI NY”, “Prison Break” and “Cold Case”. With his vast experience and work in television shows, he was awarded with Gemini nomination for “Best Actor in Supporting Role” for his work in, “Dead Silence”. His work in, “The Outer Limits” also earned him a nomination for, “Best Performance in Guest Role”. Coates decided to make the transition from acting to producing and subsequently in 2007; he produced and acted in the movie, “The Poet”. The movie won awards for “Best Picture” and “Best Director” at the New York Staten Island Film Festival. Coates was honored with the “Half Life Achievement Award” for his work as an actor, in 2009 at the AOF International Film Festival held in Pasadena. Some of his other awards include “Best Actor” award for his role of Steve Serrano in “King of Sorrow”. In 2010, Coates appeared in the movie, “Resident Evil Afterlife” which proved to be a huge hit. The next big project that came Coates’s way was in 2012 when he appeared in the comic movie, “Goon” with Seann William Scott, Jay Baruchel and Liev Schreiber. The movie earned him a nomination for “Best Performance in a Supporting Role” at the Canadian Screen Awards in 2013. The movie was also appreciated by both the audiences and critics. 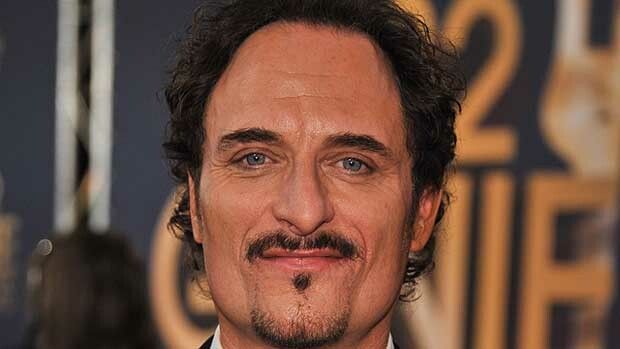 Kim Coates is also a part of the series, “Sons of Anarchy” as Tig Trager and was scheduled to work in three movies in 2012; “Rufus”, “The Dark Truth” and “Ferocious”. In his personal life, he is married and lives in Los Angeles with his wife and two children.